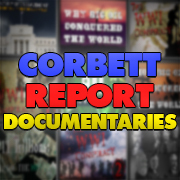 https://www.corbettreport.com/mp3/episode310-lq.mp3 From farm to pharmaceutical, diesel truck to dinner plate, pipeline to plastic product, it is impossible to think of an area of our modern-day lives that is not effected by the oil industry. The story of oil is the story of the modern world. And this is the story of those who helped shape that world, and how the oil-igarchy they created is on the verge of monopolizing life itself. 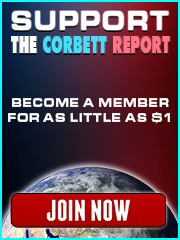 http://www.corbettreport.com/mp3/2015-08-11%20Richard%20Heathen.mp3 Richard Heathen of LibertyMachineNews.com joins us today to discuss his documentary film, “Hidden Influence: The Rise of Collectivism.” We discuss the meaning and history of collectivism, how it was inserted into the educational curriculum by the large corporate foundations of the robber barons, and how it is shaping society today through cultural Marxism and identity politics. http://www.corbettreport.com/mp3/2015-06-17%20Austin%20Green.mp3 Austin Green of Free Mind Films joins us today to discuss his new documentary, ShadowRing. Written by James Perloff, narrated by Kevin Sorbo and featuring commentary from G. Edward Griffin, Rosa Koire, Aaron Dykes, Patrick Wood, Katherine Albrecht and many others, Shadow Ring shines a light on the secret powers that control the money supply and manipulate the world into war. Dan Dicks of PressForTruth.tv and PressForTruth.ca joins us tonight to discuss his forthcoming documentary, “The Turning Point.” Set for release next Monday, “The Turning Point” will document the 2012 Bilderberg conference in Chantilly, Virginia and the Canadian side of the shadowy organization. We also talk about various aspects of the Canadian police state. Tonight we talk to Chris White about his new “debunkumentary” Ancient Aliens Debunked, a 3 hour refutation of the theories proposed on the History Channel series Ancient Aliens. We discuss the ancient alien idea, its promulgation in pop culture, and the agenda behind it. We also talk about Chris’ “debunkumentary” work, including the Zeitgeist Challenge.